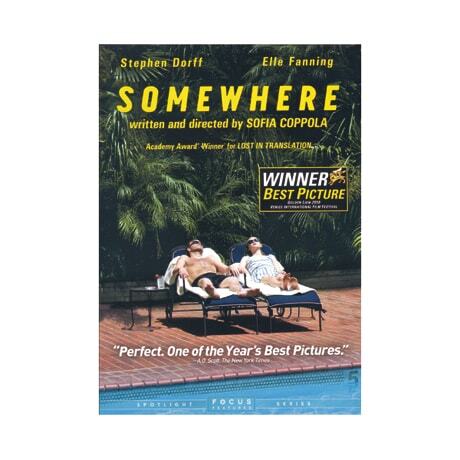 (Winner of the Venice International Film Festival's Golden Lion for Best Picture) At the Los Angeles hotel Chateau Marmont, newly-famous actor Johnny Marco (Stephen Dorff) indulges his love for sports cars, pills, and women, increasingly finding that he is bored with his life. When his ex-wife sends their 11-year-old daughter Cleo (Elle Fanning) to stay with him, however, Marco takes on a role that he has never been prepared to play, and Cleo's presence will force him to re-evaluate the empty lifestyle he has created for himself. Praised by the New York Times as "exquisite, melancholy and formally audacious," Sofia Coppola's 2010 film features the dazzling cinematography of Harris Savides. A making-of featurette is also included.